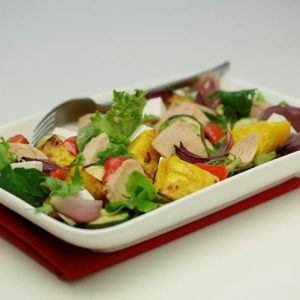 Safcol’s unique premium quality tuna pouches bring delicious gourmet flavours and convenience to busy people on the go. 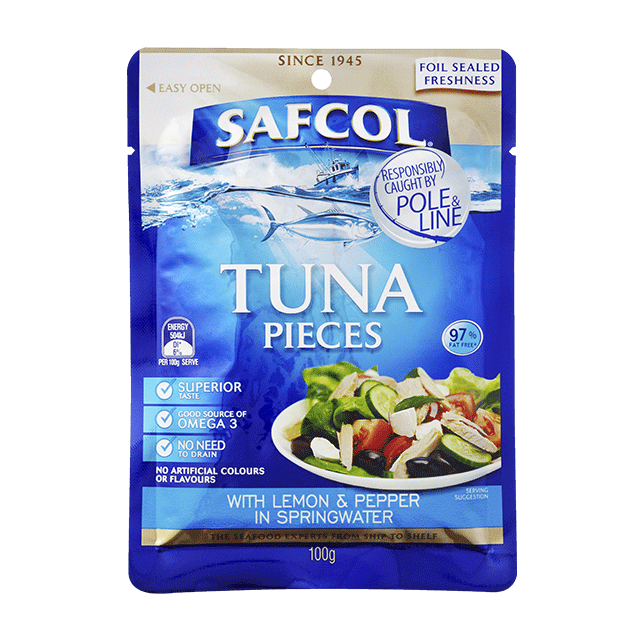 Perfect for sandwich fillings, lunches, snacks and for adding to rice and pasta; you can enjoy Safcol tuna pouches anywhere. Ingredients Skipjack Tuna (Katsuwomus pelamis) (75%), Springwater (22%), Sugar, Salt, Pepper (0.5%), Modified Tapioca Starch (1442), Citric Acid (330), Natural Lemon Flavour.